For those of you who do a lot of in-person fundraising and want to add your offline donations to your Donorbox account, we have some great news! 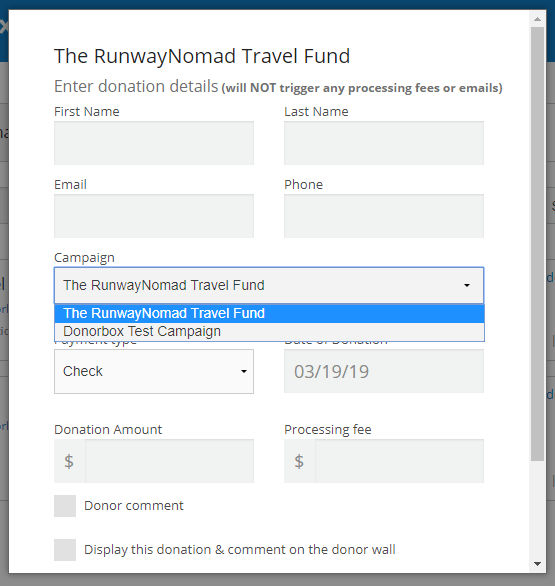 You may have noticed that Donorbox forms have the facility for donation designation and custom questions. Now, these questions are available for donations that you receive outside of Donorbox (ie. manual donations). Go to your Donorbox dashboard and find the campaign that you want to add the manual donation to. Click on ” + Add donation”. Fill in the donation details. You can also select the campaign for this donation here too. 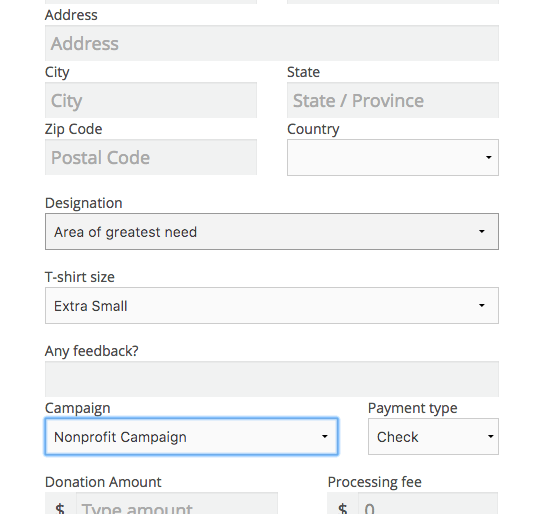 After choosing your campaign from the drop-down list, the fields for the additional questions you added in your campaign form setup, as well as address collection and donation designation, will appear on the questionnaire for you to fill out. Click save, and that’s it! Your offline donation and the data associated with it will all appear on your Donorbox records.